I have decided to do the sketch challenge at Karen's Doodles Scandinavian Blog. This sketch was so much fun to do. I hope you like my creation and play along with them. Here is my take on the sketch. I just love this little dragon!! Here is the sketch that I used. 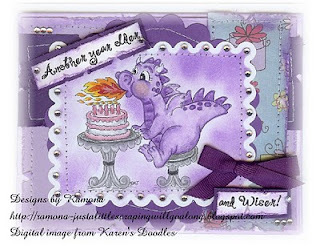 What a cute card, Ramona:O) Love the cololurs and pretty papers. Great take on my sketch. 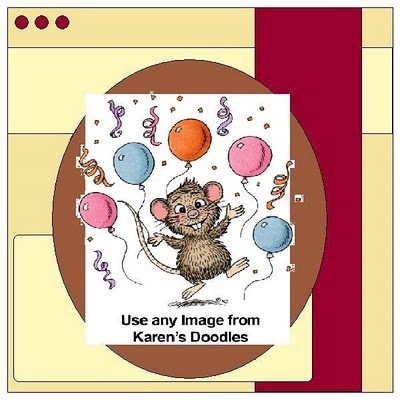 Thank you for joining Karens Doodles Scandinavia, good luck!